Bumpass Hell in Lassen Volcanic National Park is a hydrothermal area of the park. 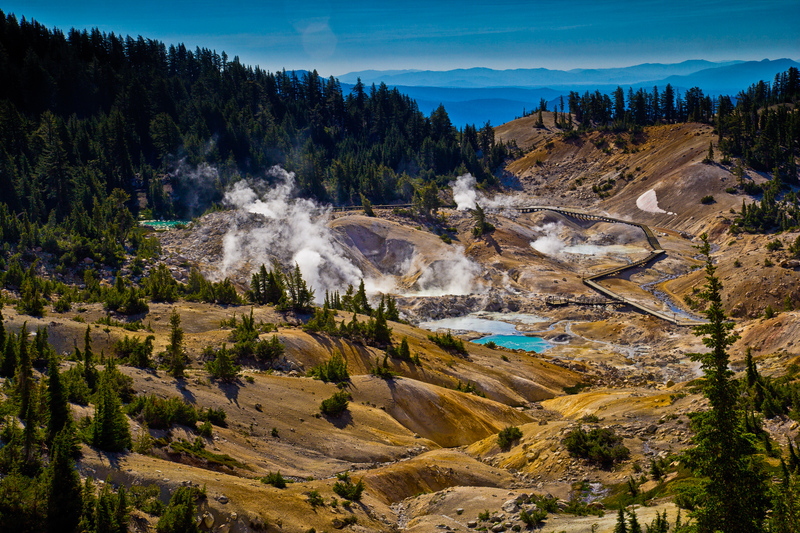 Bumpass Hell was named after an early settler who severly burned a leg after falling into a boiling pool. The hydrothermal features can be reached today from a well-marked 1.5 mile trail that starts from a parking area opposite Lake Helen. The area can usually be smelt long before you reach due sulpher.